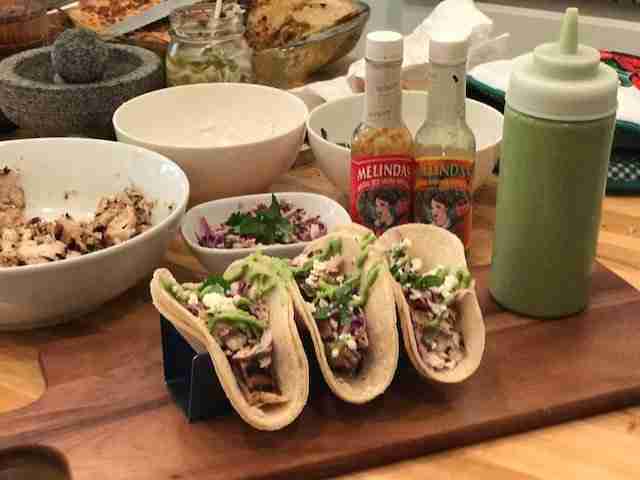 Whether you need a break from all the heavy holiday food or want something light in the summer to grill with big flavor, make my fish tacos. They are my Mom’s favorite dish that I make and she is so picky! So needless to say, this dish is a crowd pleaser even for those who claim to not like fish. The creamy avocado cilantro lime crema works on this and frankly, on anything Latin/Asian and savory. It’s amazing. You can make the slaw dressing the night before, it holds for several days. You’ll need a large mixing bowl and a smaller one for the sauce. 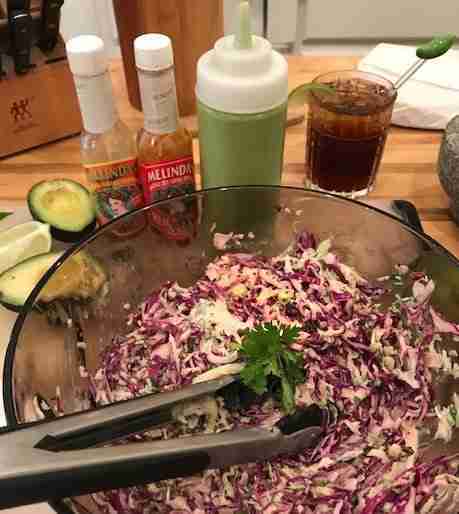 Place the cabbage, cilantro and red onions in the large bowl. In the smaller bowl, mix together mayo and sour cream, juice, zest, chile pepper, mango hot sauce and red savina. Stir it all up and toss with cabbage mixture. Hold in the refrigerator until serving time. You want it cold and creamy with the hot fish. Place all in a nutri-bullet or bender and blend smoothly until slightly whipped. Place in squeeze bottle. Grill the fish Remove fish from marinade and pat dry. Sprinkle with salt and black pepper and place on a hot oiled grill. I usually like my fish medium but for this, I cook it well done. 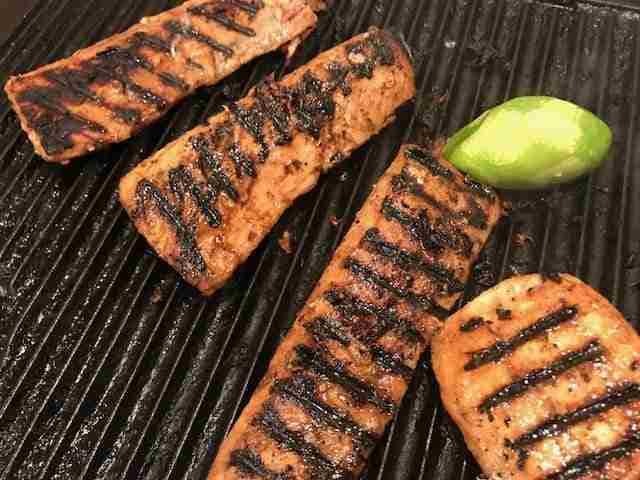 You want lots of char and grill marks because you will later chop it up into pieces. Grill first side 4-5 mins, flip and grill another 4 mins. Once the fish is done, chop it up into pieces and serve hot with warm corn tortillas, place the slaw on top and drizzle with the crema and a sprinkle of queso fresco! David is the co-founder of Melinda's Hot Sauce. When he's not exploring new flavors he's creating amazing recipes.